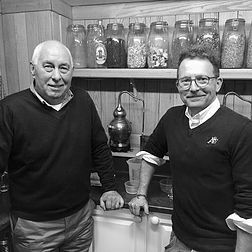 Based at 500 year old Thundry Farm in the Surrey Hills, Elstead Village Distillers is the creation of Paul Shubrook and Neil Redit and the happy result of years of friendship, passion and commitment. ​Having selflessly sampled many gins and researched their botanical contents, Neil and Paul came up with Thundry Hills Gins, which they are thrilled to be able to let loose on the gin community. Sold locally and with the ability to ship nationwide, Thundry Hills gins would be a great addition to any gin lover’s portfolio.